Every year hundreds of healthy animals (deer, foxes, squirrels, rabbits, pigeons, crows, magpies, geese, etc.) are culled in Hyde Park and Kensington Gardens, St James's Park, The Green Park, Regent's Park and Primrose Hill, Greenwich Park, Richmond Park and Bushy Park - London's most iconic open spaces where locals and tourists go to relax and reconnect with nature. The very animals whom the visitors admire and photograph are killed in astonishingly high numbers. For details of the species and the numbers see here. The justification for the culls (that it is done for the sake of the animals themselves and for public safety) is not evidence-based. Non-lethal methods of population control are mentioned in policy statements, but not applied. Hundreds of animals thus lose their lives for no clear reason. to increase the cultural carrying capacity by education and by promoting greater tolerance. Can you be in London on Monday? 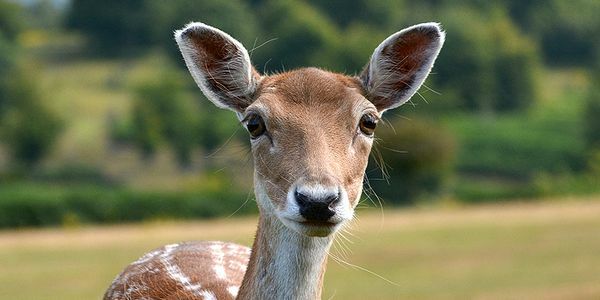 Join us to protest the Richmond Park Deer Cull which begins next week. RSVP here. If you can't make it yourself, please invite friends! As the number of signatures reaches the symbolic 100 thousand, we are very excited to welcome another campaigning parter, Humane Wildlife Solutions, a pest control company that never harms animals and specializes in non-lethal methods of resolving conflicts between humans and wildlife. They are happy not just to promote the petition, but also to be on stand-by in case the Royal Parks decide to phase in non-lethal management methods. Please keep reposting the petition so that they do! The Royal Parks have acknowledged the letter informing them about the petition and stated that they are preparing an official reply. Let us hope that it is something positive and let us keep the pressure on. Now that the Royal Parks are aware of the petition, it is vital that they see its support growing. Please continue to spread the word on the social media: it is OK to post several times in the bigger groups, where many members would not have seen your original post. The petition has reached nearly 80K and is attracting reporters' attention. Here are two articles: https://www.plantbasednews.org/post/more-than-11-000-animals-culled-the-royal-parks and http://www.richmondandtwickenhamtimes.co.uk/news/15783920.Petition_calling_on_The_Royal_Parks_to____stop_culling_healthy_animals____reaches_nearly_80_000_signatures/ Please spread the word: by posting these, with a renewed call to sign the petition and a clear reference to it, on the social media. Thank you! Dear friends, the number of signatures today, a week after the petition was started, is 61K. An amazing result, thank you for your contribution to it! On advice from Care2, I wrote to the CEO and the Chair of Trustees of the Royal Parks to let them know about the petition and the response to it. I will keep you updated on the result. In the meantime, please continue to share - the posts can be repeated with a different comment or picture if necessary. Thank you!